Austin Air Healthmate HM400 air purifier and Austin Air Healthmate Jr. HM200 air purifiers for general air cleaning of allergens, gaseous contaminants, chemicals and odors. 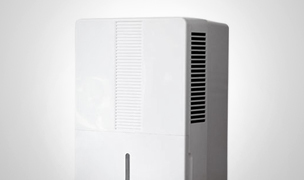 Air purifier ratings, reviews, comparisons and reports by consumer experts. 2 pre-filters, 30 sq. ft. Medical grade HEPA, 6.5 lbs carbon/zeolite mix. Covers up to 469 sq. ft.
Austin Air is known for their reliable and affordable air purifiers. They are a great economical choice and require minimal maintenance with low filter replacement costs! 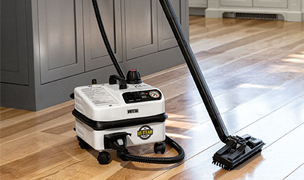 The Austin Air HealthMate and HealthMate Jr. are the preferred air cleaners for general airborne allergens and household odor, gaseous contaminants and chemical control. 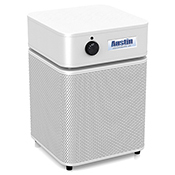 Austin Air concentrate on the important essentials equipping each air purifier with a medical grade HEPA filter for allergen removal, surrounded by a large amount of high grade carbon for odor, chemical and gaseous contaminants reduction. Designed for performance and not frills, they are a great value for quality air purification. The Healthmate series air purifiers are perfect for dealing with your everyday air quality concerns. 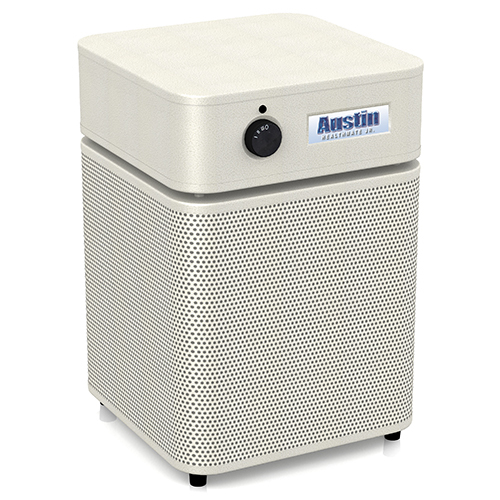 See the entire family of Austin Air Purifiers. 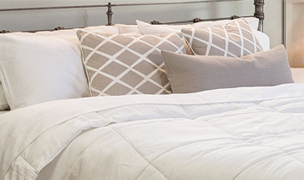 Austin Air HealthMate air purifiers remove a wide variety of contaminants: particles removed include dust, pollens, dander, odors, chemical vapors and more. 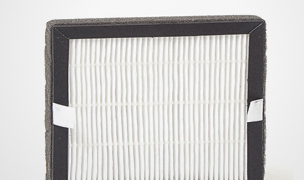 The Austin Air filter is rated to last 5 years under normal use. This claim is backed by Austin Air’s 5 year pro-rated filter warranty. 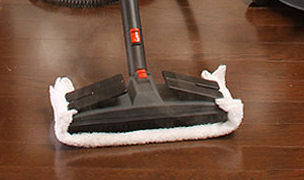 It is recommended to vacuum the pre-filters every three months or so to maintain filter efficiency. 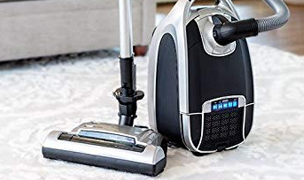 Vacuuming can be done from the outside of the unit. The Austin Air Healthmate air purifiers provide a complete air cleaning system including pre-filter, medium filter, generous amounts of carbon for reduction of gaseous contaminants, plus true HEPA filtration at a fair price. 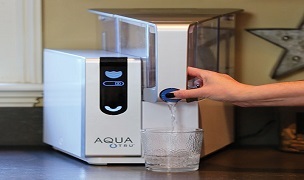 The Austin Air Healthmate and Healthmate Jr. are a good choice if you are looking for robust filtration at a more affordable price. The Austin Air Healthmate and Healthmate Junior air purifiers have true HEPA filters and provide very good filtration of particulates including bacteria, mold, germs, pet dander, and dust mite allergens. Our testing results showed an average 86% reduction in particles larger than 0.3 microns in the first air pass. The Austin Air Healthmate and Healthmate Junior air purifiers provide very good gaseous contaminants, chemical & odor reduction. 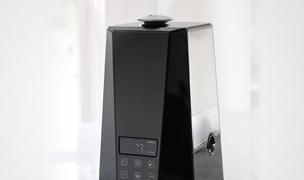 The standard Healthmate air purifier uses 15 lbs of an anthracite carbon and zeolite blend and the Healthmate Junior air purifier use 6.5 lbs. Long lasting filters. The filter used by the Austin Air Healthmate air purifiers can lasts up to 5 years before it needs replacement. We were initially impressed that the only maintenance required was to replacing the filter every 5 years and periodically vacuum the large pre-filter from outside the unit. However, after quite a few years of personal experience with the Austin Air units, we can report that when running them constantly 24/7, a more realistic life expectancy for the filters is 2 to 4 years, with the carbon becoming saturated before the HEPA filter. 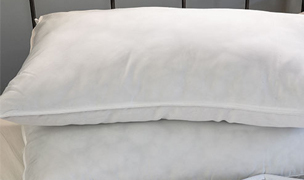 None the less, the filters are protected by a 5 year pro-rated guarantee. Austin Air offers very affordable filter replacement costs with average annual replacement costs over a 5 year period of $39 for the Healthmate and $29 for the Healthmate Junior. 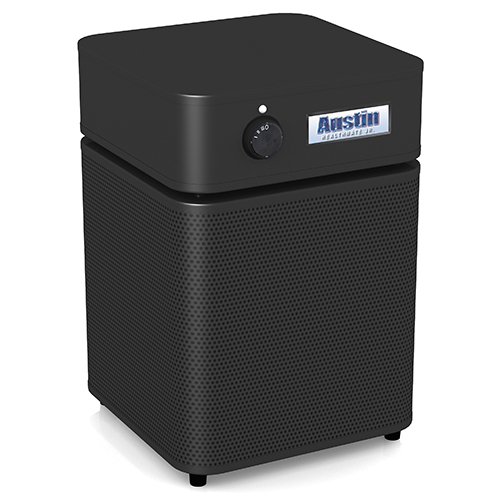 The Austin Air Healthmate air purifiers have a superior steel construction with a baked-on powder coat finish. 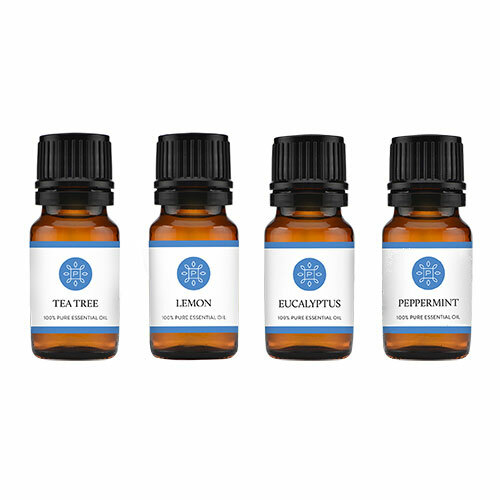 They are a good, safe choice for those irritated by plastic off-gassing. Both the Austin Air Healthmate and Healthmate Junior air purifiers are a great economy buy offering high efficiency air filtration with low maintenance and costs. Austin Air’s reputation is excellent and they have been in business for many years and stand behind their product with a 5 year warranty on parts and labor. They are also one of the only manufacturer’s to offer a 5 year pro-rated guarantee on their filters! 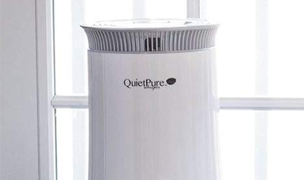 Not our quietest air purifier. 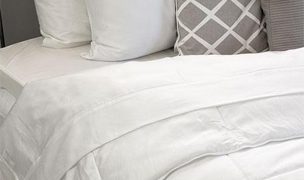 Our testing team found the Austin Air Healthmate air purifiers to be noisy on the high and medium speed, but agreed the low speed is quiet enough for sleeping depending on your noise sensitivity. 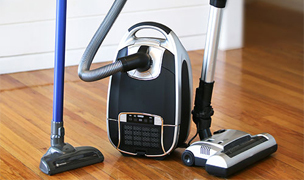 High speed is best suited for quick cleaning or for use when you are not in the room. The medium speed is okay if there is already some background noise. The low speed is quiet enough to use while sleeping. No filter change indicator. 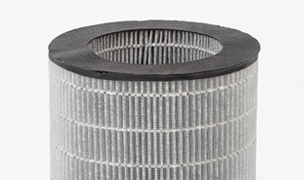 If there is anything we would like Austin Air to change, it would be the addition of some type of filter monitoring device to remove the guesswork out of when one should replace the filter. Currently the only way to tell the carbon needs to be replaced is when one can start to smell it, as once it is saturated it will start to off-gassing odors. Replacing the filters is not a 60 second job. 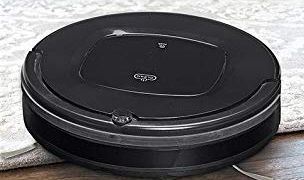 We found that in order to really clean the pre-filter it is necessary to remove the bottom plate by removing 4 screws and take it out from the air purifier to give it a thorough cleaning. 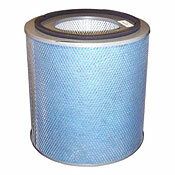 This is a bit time consuming, so we would recommend replacing the pre-filter once a year. Replacing the filters is a bit tricky as the cylindrical filter is heavy and the bottom plate must be perfectly in line with the holes in order to tightly screw it back together. 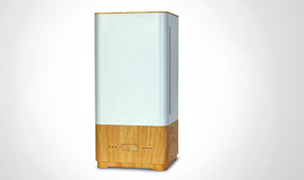 Austin Air overstates the room coverage of the Healthmate air purifier at up to 1500 sq. ft. Actual maximum room coverage for the Austin Air Healthmate air purifier is more like 313 sq. ft. while running on high fan speed in order to achieve 6 air changes per hour. Room coverage is half as much when running on medium speed. 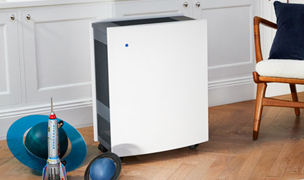 The Healthmate Junior air purifier’s actual room coverage is about 156 sq. ft. while on high speed to achieve 6 air changes per hour. These are still very decent room coverage’s for the size of the air purifiers. The Austin Air Healthmate air purifiers are a best value, providing complete air purification of both allergens and chemicals, gaseous contaminants and odor reduction at a fair price. 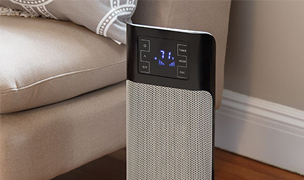 If you are searching for a no frill, economical air purifier that is reliable and requires little attention, then an Austin Air Healthmate air purifier is for you. If you have a smaller size room choice the Healthmate Junior model and save a little bit of money! 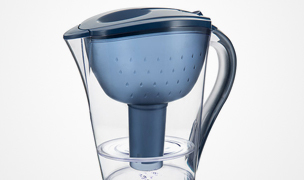 If you want more robust filtration and are not concerned about size/space, choose the Healthmate Standard model. Recommended Coverage Area: up to 156 sq. ft.
Square Foot Coverage up to 469 sq. 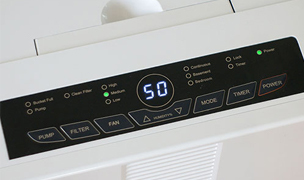 ft.
Includes 1 large particle pre-filter for use with standard sized Austin Air Healthmate, Healthmate Plus, Hega Allergy Machine, Bedroom Machine and Pet Machine. Annual replacement recommended. Black is used for Black, Silver and Midnight Blue machines and White is used for White and Sandstone machines. All inclusive replacement filter includes medium particle pre-filter, 15 lbs of activated carbon/zeolite blend, and true medical grade HEPA filter. Replace every 5 years. 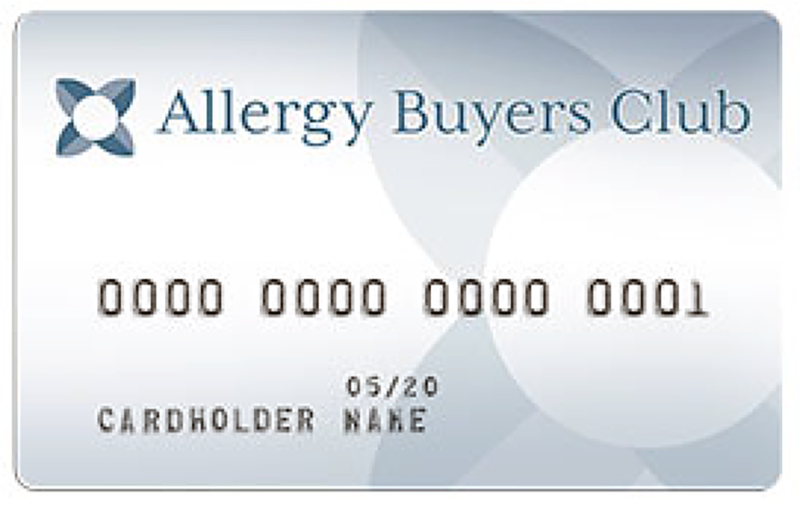 Includes 1 large particle pre-filter for use with Austin Air Healthmate Jr, Healthmate Plus Jr, Hega Allergy Machine Jr, and Baby's Breath. Annual replacement recommended. 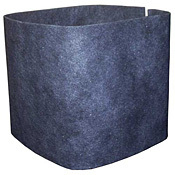 All inclusive replacement filter includes medium particle pre-filter, 6.5 lbs of activated carbon/zeolite blend, and true medical grade HEPA filter. Replace every 5 years. Includes 4 casters for the Austin Junior models. Available in 6 colors. NOTE: If purchased at the same time as the Junior, casters will come installed. 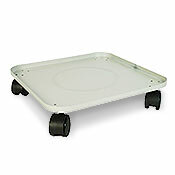 If purchased at a later date, casters will need to be installed. To attach, simple remove the 4 screws at the bottom of the unit, remove the existing bottom plate and replace with the new bottom plate that has the casters attached.